Find an alternative to closing our Halifax courts and keep local justice in Calderdale. That is the defiant message from campaigners in their determined fight to keep the town’s magistrates’, family and county courts open. 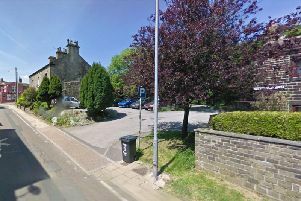 After serving the people of Calderdale for more than 140 years, the courts are threatened with closure as part of a review by the Ministry of Justice. The proposals are part of a nationwide plan to close 91 courts and tribunals in England and Wales and integrate or merge 31 more. And following the end of the consultation period yesterday, the Law Society hit out at the proposals claiming a lack of transparency in the ministry’s impact assessment and factual errors in the consultation document. Law Society president Jonathan Smithers said: “No matter who you are, no matter where you live in England, everyone in England and Wales must be able to access legal advice and the justice system. “The proposed closure of courts in Halifax will make it more difficult for a significant number of people to get to court and the closures will more adversely affect people with disabilities and lower income families. The society warned of “worrying” miscalculations on the current usage of some courts and over-estimation of the capacity of alternative courts to take an additional workload. If the current proposals go ahead, they would represent the biggest round of court closures since 2010. Local lawyers, politicians and residents have also written an open letter to Justice Minister Michael Gove, highlighting the harm that would be caused should the courts close. The letter, organised by local MP Holly Lynch and the Halifax Junior Lawyers Committee, includes partners, directors and owners from 13 different law firms associated with the courts, as well as Ms Lynch, council leader Tim Swift, and the CEO of WomenCentre Calderdale and Kirklees Angela Everson. They say travel times for court users would increase significantly if the proposals go ahead, especially for those travelling by public transport, and worry this will discourage people from accessing justice. The letter states: “20 per cent of people using public transport would face a 60 to 120 minute trip, up from three per cent today. This means a two to four hour round trip to the courts. There are further concerns that local law firms could relocate to Bradford. Halifax lawyer John Bottomley said: “If the courts were to close there are a number of law firms situated around the courts who would likely consider a move elsewhere. The letter urges the government to consider alternatives to the closure. “Given the cost of the two courts is currently £495,000 per year this roughly works out at only £2.50 per person per year for every person in Calderdale. Halifax MP Holly Lynch, said: “There are alternatives to these closures which would be financially viable and allow us to keep local justice in Calderdale. For example the magistrates bench have outlined a plan where the County and Family Court could share a building with the Magistrates Court, leading to significant savings. “Local people have been working hard to find ways to cut costs at the courts, but no alternatives to closure were considered in the consultation proposals. Calderdale Council has refused to support the proposed closures in a written submission to the consultation on the future of the courts. Calderdale Council’s leader Tim Swift said: “There has been cross-party concern and disappointment at these proposals, both in terms of the impact they would have on residents in Calderdale and also on council services. “We feel that it is a vital part of our legal system that we have local justice so that cases are tried within the community where the offence was committed. “People want the reassurance that when a crime has taken place there is a process which they can see leads to a prosecution and ultimately a conviction. “We also need magistrates to be drawn from our local community so that they understand the context in which a crime has been committed. The council’s response to the consultation acknowledges that a change to the current system is necessary, but suggests that a better alternative to closing both courts would be to combine them into the Halifax Magistrates’ Court building.